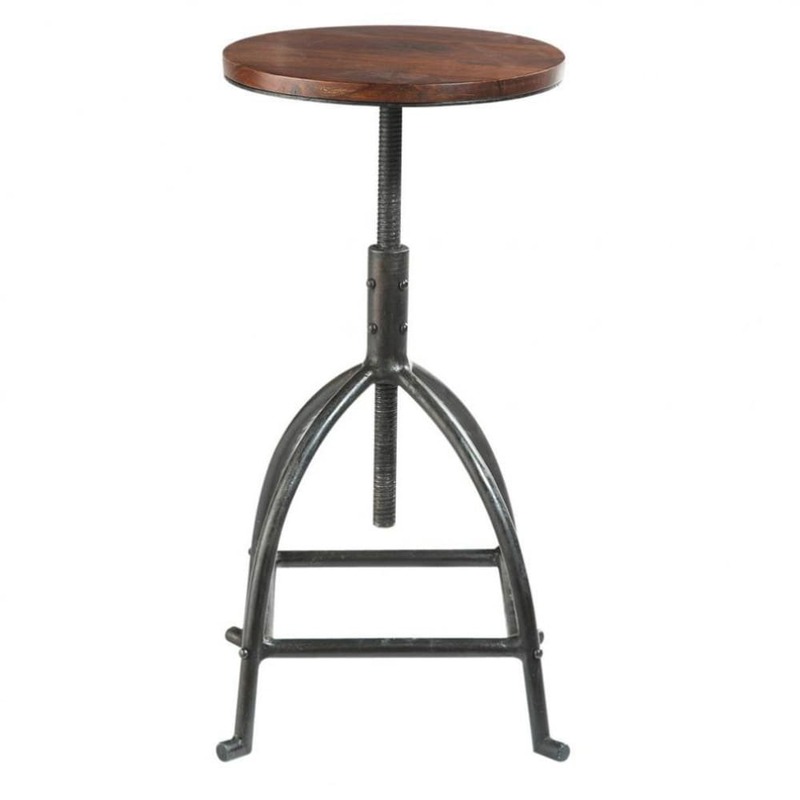 You'll love the authentic style of the INDUSTRY Solid Sheesham and Metal Industrial Stool. 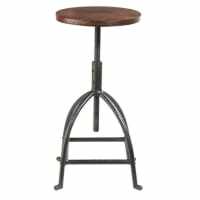 Slightly aged, this bar stool will easily find a home in a kitchen or home office. The extremely practical adjustable seat of this occasional chair will allow you to easily adapt its height. Our advice: add a few accessories in the same style. It is sure to impress! 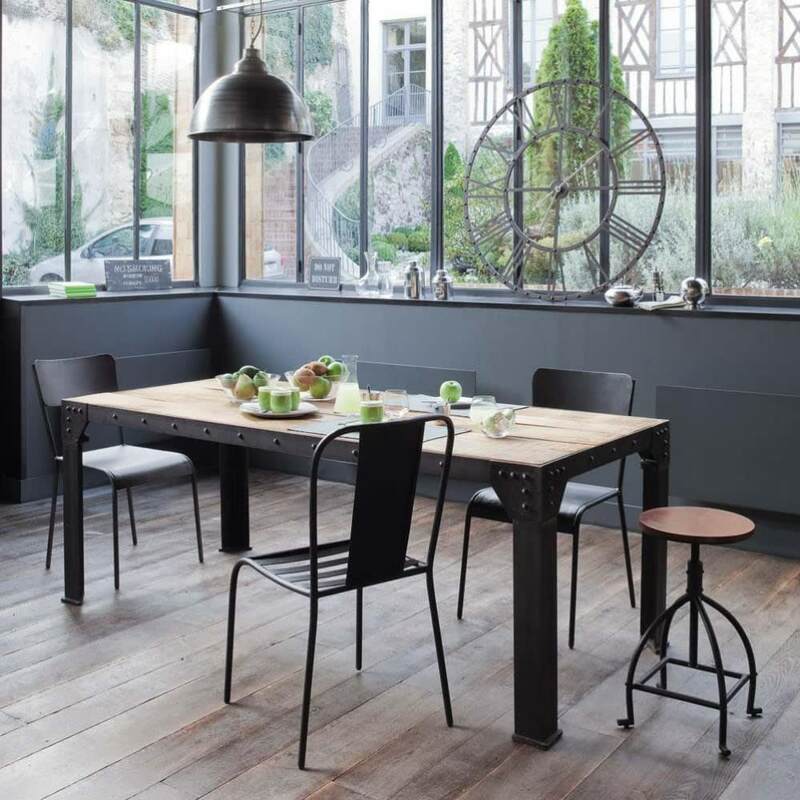 An old-style industrial range, where wood adds warmth and style to the riveted metal. The sheesham tops add a touch of charm to this range. The knots and color nuances of the wood bear witness to the authenticity of the material. A very light coat of varnish, applied by hand, adds shine and simplifies maintenance. The frame in matte black riveted metal and the visible welding seams reinforce the authentic spirit of the collection. Since we have nothing to hide, we wanted to tell you the history of the piece of furniture you're buying. Scan the 2D code on the label and you can learn all about its journey: from the tree plantation right to the finished product. This unique traceability system is available thanks to a collaboration with The Forest Trust (TFT) which works on the ground to ensure that the timber comes from sustainably managed forests. This means you can have a guarantee that the beautiful piece of furniture you own also has a good history. Also known as Indian Rosewood, Sisu, Tahli, Tali or IruguduJava, Sheesham is a golden-coloured wood with touches of purple. 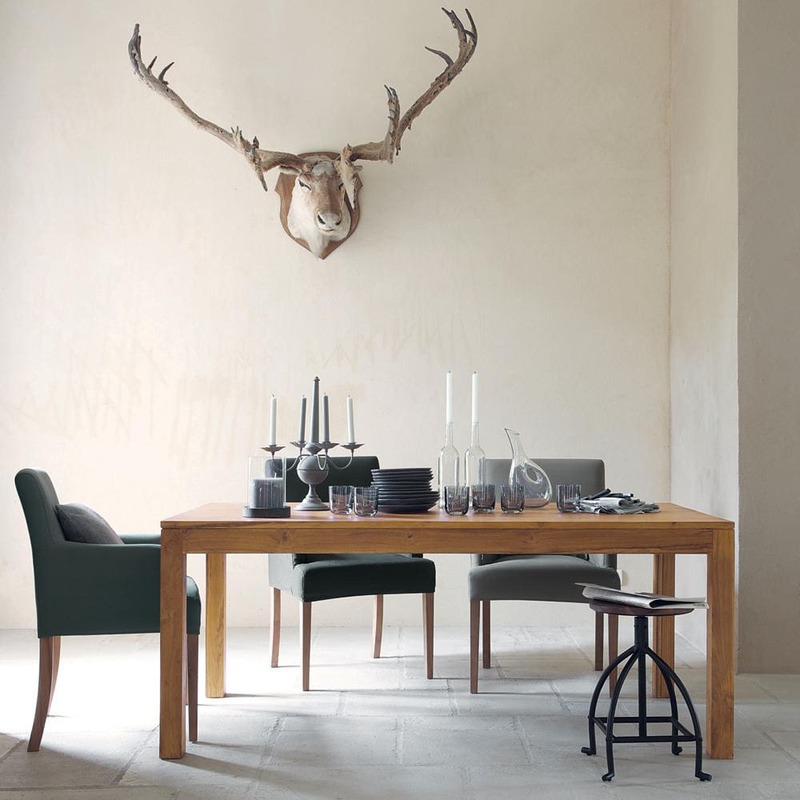 It is hard-wearing, dense, natural and rustic and much liked for its warm colour. Because of their unique character, each piece of solid sheesham wood furniture may feature nuances in colour or irrgegularities which help to create the authentic result. Clean your furniture with a soft cloth or use a slightly damp, non-abrasive sponge if it's very dusty. Avoid direct exposure to sunlight and artificial sources of heat and air conditioning. Avoid placing hot dishes directly on your furniture. 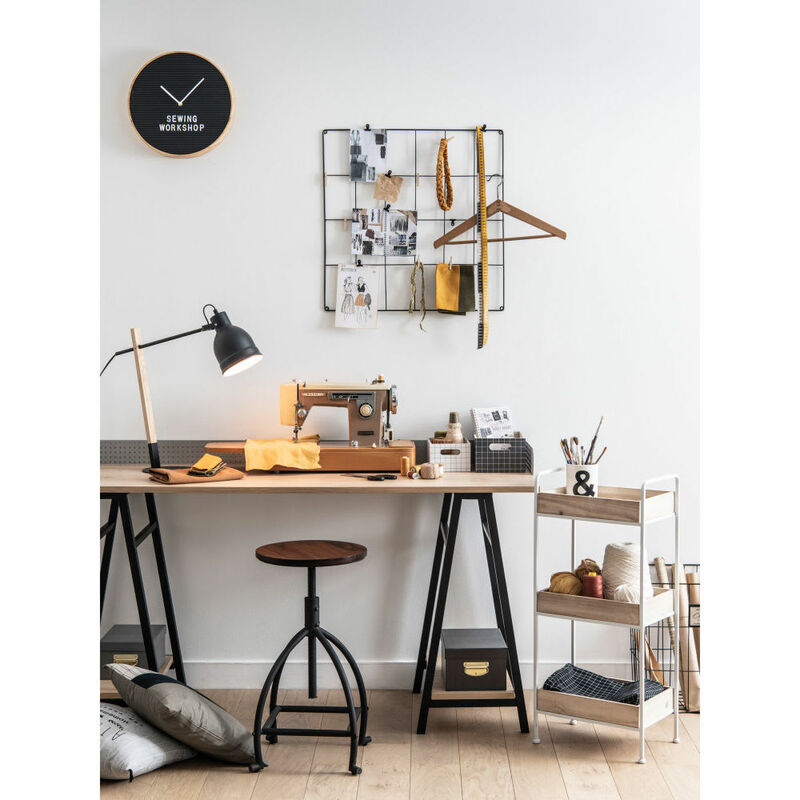 As a member of the 1% for the Planet programme, each year Maisons du Monde donates 1% of turnover from furniture bearing the traceable wood, recycled wood and eco-design logos to environmental charities.